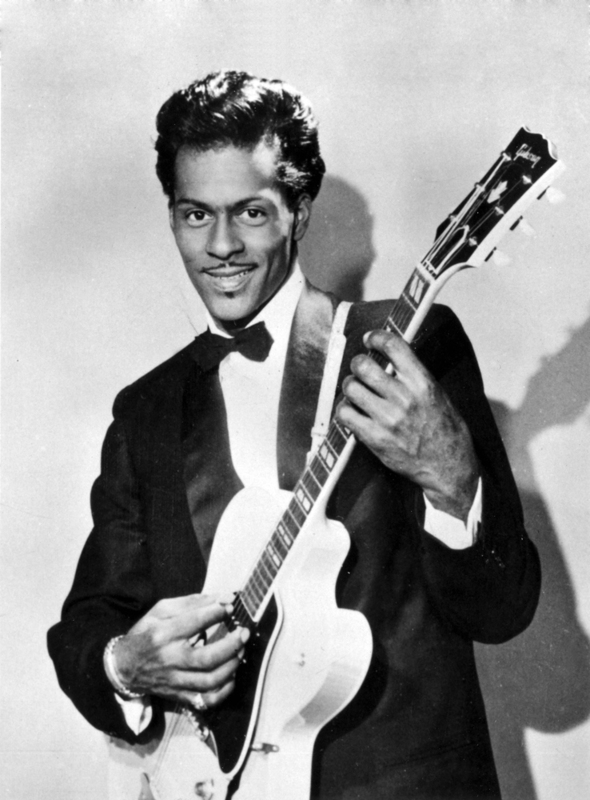 Hailed as “The Father of Rock and Roll,” Chuck Berry’s signature guitar work, poetic songwriting and inspired showmanship have influenced every Rock and Roll musician to follow him. Beginning with “Maybellene” in 1955, he recorded a series of hits that defined the standards of the genre. He was the first person inducted into the Rock and Roll Hall of Fame, and is a member of the Songwriters Hall of Fame. His song “Johnny B. Goode” is on the copper records aboard the Voyager space probes, launched into outer space in 1977 to reach out to the universe with the best of our culture. In 1985 Chuck Berry entered the Blues Foundation's Hall of Fame and the year after in 1986 he was inducted into the Rock & Roll Hall of Fame.